OH MY GOD IT'S INTERDIMENSIONAL CABLE TIME! 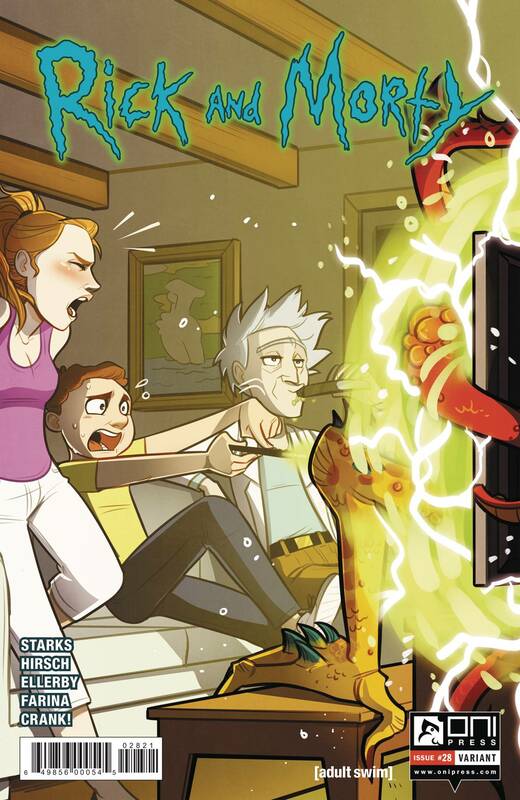 Rick and Morty are wanted fugitives in an alien dimension, so until the heat dies down, there's not much to do but watch interdimensional cable! Can you even believe it? A special one-shot issue drawn by writer Kyle Starks (with a special cameo by Andy Hirsch)! Meanwhile, Jerry learns a painful lesson in film history in this issue's back-up comic drawn by Marc Ellerby!